April 6, 1958 was the day golf changed forever. Now 60 years ago, it was the day Arnold Palmer became a major champion by winning his first Masters title at Augusta National. 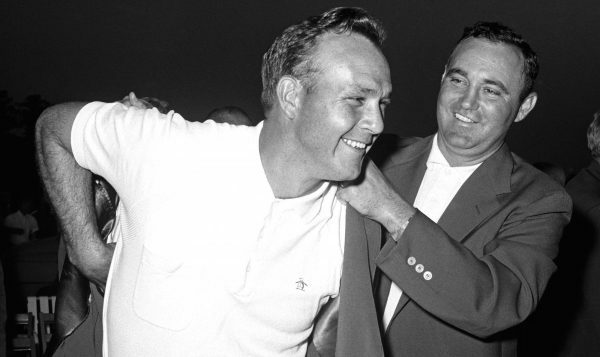 The final day of the ’58 Masters did not pass without a hint of controversy. Palmer was paired with fellow American Ken Venturi and by the time they reached the tee of the par-3 12th hole, Golden Bell, it seemed likely that the winner of their duel would claim the title. Palmer led Venturi by a solitary shot as they prepared to play this iconic short hole. True to tradition, the Sunday pin was positioned treacherously in the far-right corner of the green and also in keeping with custom, the wind was gusting and swirling. Venturi and Palmer both hit their tee shots over the shallow putting surface and into the bank at the back. Venturi’s ball kicked down onto the far side of the green, from where he two-putted for par. However, Palmer’s ball was embedded in the bank. It had rained heavily overnight and subsequently, play that day was subject to wet-weather rules (allowing the lifting, cleaning and placing of golf balls). Following an animated discussion with a rules official, Palmer was inexplicably refused a drop, so he chopped at the plugged ball and shifted it 18 inches. After eventually holing out for a five, Palmer returned to the spot where his ball had been plugged and with a second ball, took the drop for which he was convinced he was allowed. This time he chipped stone-dead and holed the putt for a three. So Palmer had scored a five and a three but did not know which would count. If three, he still led by one; if five, he trailed Venturi by one. This question was still hanging in the air when Palmer struck one of the shots of the tournament at the next hole; a 3-wood approach to the back of the green on the par-5 13th, from where he holed the 20-foot putt for a brilliant eagle three. Two holes later he received word from Masters founder Bobby Jones that his three at 12 would stand. “I knew the rule and believed I was within my rights to do what I had done,” Palmer later said. He still required a birdie three up the 18th to claim the Green Jacket, and Palmer duly delivered to win by a single shot. “I was so tense and focused, I don’t even remember the walk up 18,” he confessed. Aptly, it was after the 1958 Masters that reporter Herbert Warren Wind christened the low-lying section of Augusta National—from the end of the 11th fairway to the beginning of the 13th, with the 12th hole in between—as “Amen Corner”. The incomparable Palmer would win a total of seven major titles between 1958 and 1964, bookended by his first and fourth victories at Augusta. Led by Palmer’s dashes of drama, which attracted international, prime-time television coverage, golf in the 1960s emerged from the fringes of professional sport to take up a permanent position at its vanguard. People converged on tournaments in their droves, and week in, week out, the same three faces dominated living-room screens, newspaper pages and trophy presentations: Palmer, Jack Nicklaus and Gary Player, “The Big Three”. The Big Three brought three distinct personalities and styles of play to the golf course, and a competitive streak that propelled the game forward. Throughout their heralded careers, they exemplified power, grace, dedication and sportsmanship. Subsequently, just over 50 years ago in 1967, as Rolex looked to strengthen its association with golf and its support for the sport, Palmer was the perfect fit to become the first Testimonee for Rolex in golf. The relationship between Palmer and Rolex is among the longest associations between any professional athlete and a company, with Nicklaus and Player joining their great friend and rival in the Rolex family soon after, and where they both remain today. Today, after half a century of support, Rolex is part of the fabric of golf, the partnership stretching to every level, including the elite players and legends of the game, the major men’s and women’s championships and their professional tours, and the leading team competitions. 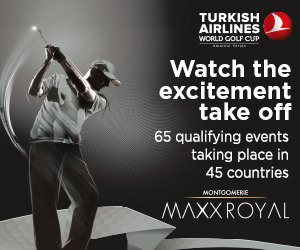 Rolex also supports global amateur tournaments, international federations and organizations representing golfers of all ages and abilities.